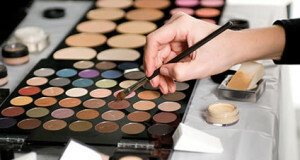 Teens under 18 years of age can now turn their love of makeup into cash! The Motives & Me program is perfect for teens that are looking to earn the cash they want, while having fun selling one of the hottest makeup lines in the country. It gives teenagers the opportunity to run their own business while being mentored and coached by a Motives Customer Manager. Customer Managers sign up a teen associate and assign the teen their own Motives® mini‐website. The young entrepreneur can then refer customers to this website to purchase Motives products. With each sale the Motives Customer Manager will give the retail profit from that sale to the teenager. What are the major benefits of joining the Motives & Me Program? What are the costs associated with signing up a teen as an associate? There are no costs associated with signing up for the Motives & Me Program. Your mini web site is FREE. An optional cost is the Motives and Me Teen Starter Kit. What about the Motives and Me Teen Starter Kit? 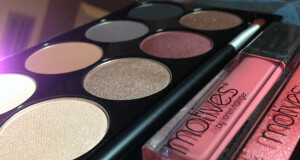 A perfect kit created exclusively for your Motives Teen Associate to get them off to a strong start with Motives. The Motives® by Loren Ridinger Teen Starter Kit is a collection of favorite teen cosmetics, including two best selling Nail Candy, two pressed eye shadows, one crème eye shadow, one pressed blush, one eyeliner, and one lip shine. Please note only one kit sold per teen associate sign up. The (optional) Motives and Me Teen Starter Kit costs $29.95 plus tax and shipping. How does the teen receive their retail profit? On the teen’s website, they have the ability to manage their account, see the orders from their friends and family and see how much retail profit they have earned. There is also a button to request a payout. Once the teen requests a payout, the Customer Manager is alerted and will requests a payout from Market America for the teen’s earned retail profit. Is the teen allowed to go to company trainings? The teen can attend any training that a normal guest can attend. Some of these include Motives Day 1: Application Training, Motives Day 2: Motives Business Building, and Skin Care 101. Motives Custom Blend Foundation and Custom Powder training is for Distributors only, so teens would not be allowed to attend. Who can join Motives & Me? Teens may join the Motives and Me program anytime after their 14th birthday and before their 18th birthday. On your websites it states that a teen the age 18 and under can do your cosmetic sales and when you get towards the end of reading on how you can start the sales it says you have to be 14-18 years old. You are sending mix messages on which age you can be to sale these products. How do I sign up for the Motives and Me program? I sent you an email last week with more information on the program as well as a list of what information I require in order to create your Motives and Me Program account. Please look for that email. I look forward to hearing back from you.